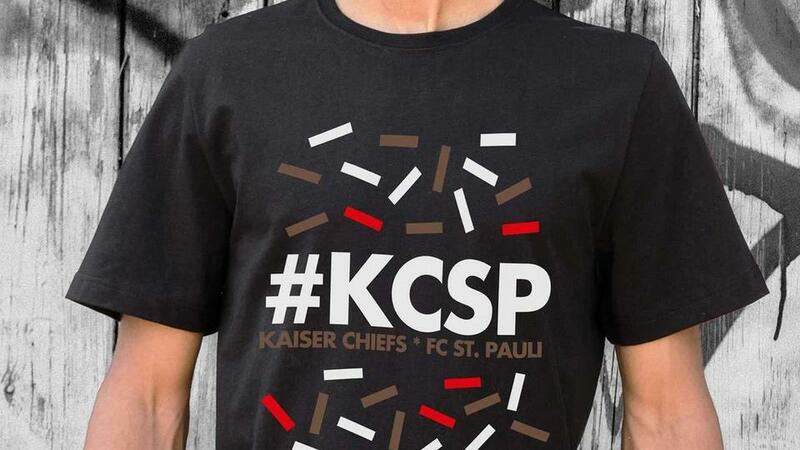 Try to name another football club with a greater association with music than Hamburg’s FC St. Pauli. 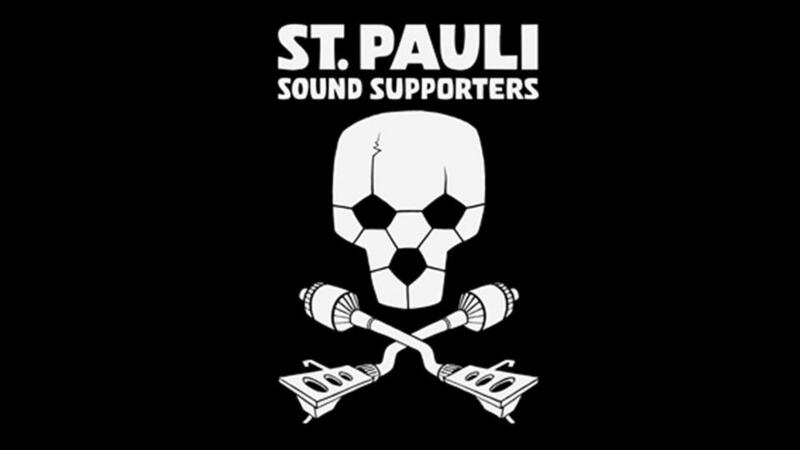 Other teams may have celebrity fans, but St. Pauli is an institution whose culture and identity are built on music, along with its commitment to social causes and the community. Local musicians help build the club’s ethos, and in return the club runs events, programmes and music schools locally. International bands have written songs about them, and even collaborated with the club on a wide range of activities. So, what has created this breeding ground for lively, punk-orientated, football lovers? To find out, Europavox spoke to Club President Oke Göttlich and Dave Doughman, director of FC St Pauli Levi’s Music School. Oke Göttlich, president of St Pauli FC. The football club is built on an ethical framework with guiding principles at its core. These include acceptance of social responsibility, and acknowledgement that the club belongs to its members and local community. It fights for tolerance and diversity, serving as a host to all those that visit with these codes of conducts. The club, although formed in 1910, really started to form its own ideological identity in the 80s. It was during a period of the Hafenstraße riots, in which the artistic community and squatters within the district were being pressured to leave. It was at the same time that right-wing supporters became more prevalent in the German football scene, in particular at FC St. Pauli’s city rivals, Hamburg S.V. One notable and famous defection from Hamburg S.V. to FC St. Pauli was Dirk Jora, frontman of cult German punk band Slime [you can read an interview with Jora in German over at 11Freunde], who is now a huge vocal supporter of his new club. “There seems to be a common bond in the politics and in the social aspect of the musicians and the club,” Doughman states about the club’s musical legacy. 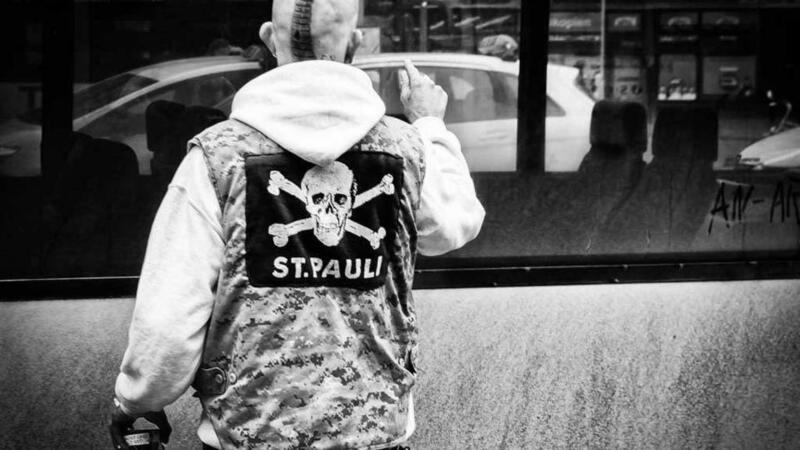 “Of course, everything goes back to the Hafenstraße and the punk of the 80s; that’s where I know about the music and football coming together.” Even the story as to how the club acquired its skull and crossbones logo has its legacy in the punk rock, squatting scene going on at the time. As the legend goes, Doc Mabuse, singer in the Hamburg band Punkenstein— and one of the squatters from Hafenststraße — came up with the bright idea to take a skull and crossbones flag, which were already prevalent in the district due to the area’s association with historical pirates, and wave it about during a game, and thus setting the club’s iconic brand for years to come. 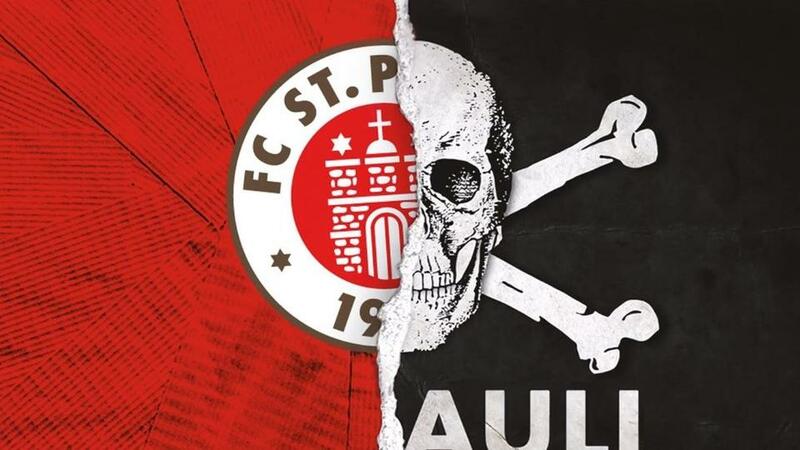 FC St. Pauli’s guiding principles and musical and cultural focused lineage resulted from the community coming together during the 80s. With no investors, it is entirely community owned. “The community built nearly everything FC St. Pauli is about; the musical tastes as well,” explains Göttlich. Through the club’s recent history, the community has been responsible for many fundraising initiatives and events, helping the team through its most trying of moments — and simultaneously defining the club’s sound through the artists that were booked. “Around 2003/2004, when the club was nearly financially ruined, after being relegated twice into the third division, there were some people organising Sound Support — a sound bash around the stadium, with six different stages without guitar music, so more electronic, house, hip hop music.” The event, which helped raise around 25 000€ featured local supporters from Superstition Records — a local techno label —, DJ DSL, a Fettes Brot sound system, and reputedly, a young DJ Koze. 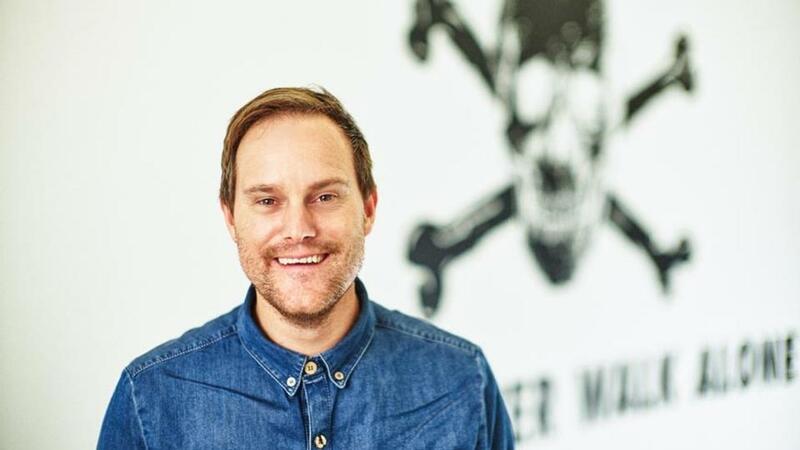 Local Nightclubs in the district also banded together, providing resident acts to help the cause, while at the same time local landlords established a program called Drink for St Pauli, donating 50 per cent of the price of each beer sold. Dave Doughman, originally from the US, arrived in Hamburg in 2000 with his band Swearing at Motorists. 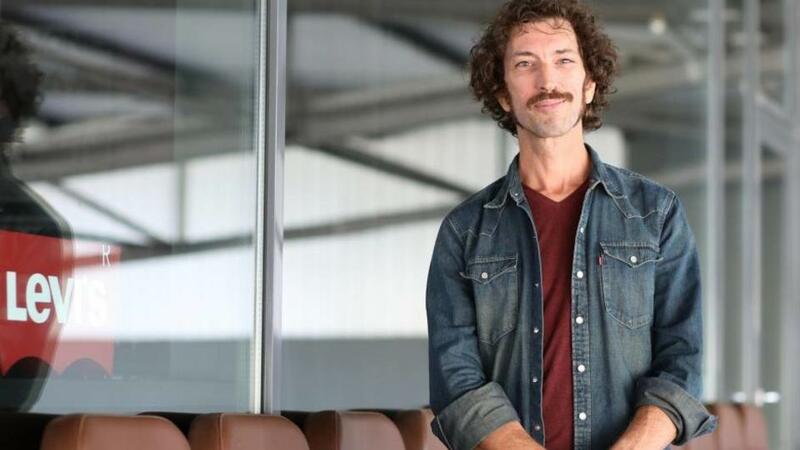 Nowadays, he helps run the FC St. Pauli Levi’s Music School, a recently setup community initiative, that has turned one of the stadium’s suites into a space for education and rehearsal. Göttlich is quick to state however, that the club is not only centred around social and cultural activism, its primary goals are making the sports’ teams as successful as possible. “The most successful we are in our sports, the more people we can display our values to,” he explains. Two years into the program and some students of the Music School have already formed a band, having played their first show in legendary Hamburg club Knust.